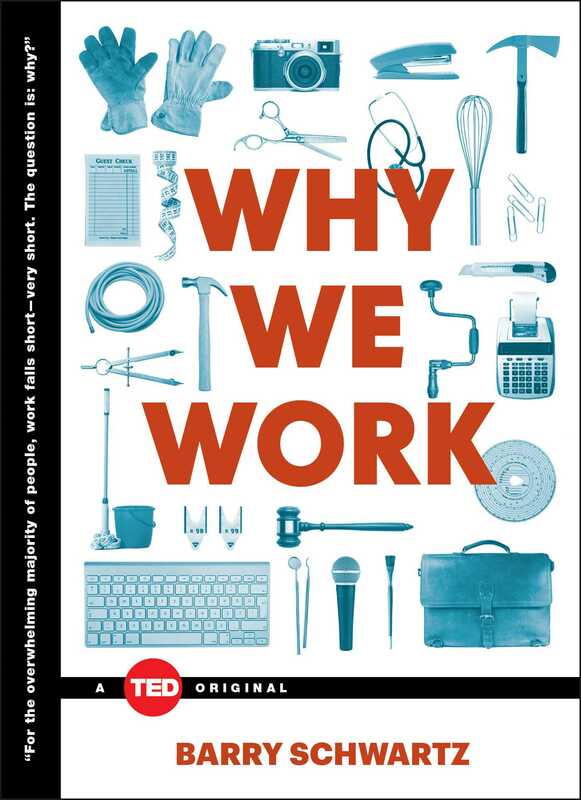 Why do we work? Why do we drag ourselves out of bed every morning instead of living lives composed of one pleasure-filled adventure after another? What a silly question. We work because we have to make a living. Sure, but is that it? Of course not. When you ask people who are fulfilled by their work why they do the work they do, money almost never comes up. The list of nonmonetary reasons people give for doing their work is long and compelling. Satisfied workers are engaged by their work. They lose themselves in it. Not all the time, of course, but often enough for that to be salient to them. Satisfied workers are challenged by their work. It forces them to stretch themselves—to go outside their comfort zones. These lucky people think the work they do is fun, often in the way that doing crossword puzzles or Sudoku is fun. Why else do people work? Satisfied people do their work because they feel that they are in charge. Their workday offers them a measure of autonomy and discretion. And they use that autonomy and discretion to achieve a level of mastery or expertise. They learn new things, developing both as workers and as people. These people do their work because it’s an opportunity for social engagement. They do many of their tasks as part of teams, and even when they’re working alone, there are plenty of opportunities for social interaction during work’s quiet moments. Finally, these people are satisfied with their work because they find what they do meaningful. Potentially, their work makes a difference to the world. It makes other people’s lives better. And it may even make other people’s lives better in ways that are significant. Of course, few occupations have all these features, and none, I suspect, have all these features all the time. But features of work like these are what get us out of the house, get us to bring work home with us, encourage us to talk about our work with others, and make us reluctant to retire. We wouldn’t work if we didn’t get paid, but that’s not at the core of why we do what we do. And in general, we think that material rewards are a pretty bad reason for working. Indeed, when we say of someone that “he’s in it for the money,” we are not merely being descriptive; we’re passing judgment. These diverse sources of satisfaction from work raise some very big questions. Why is it that for the overwhelming majority of people in the world, work has few or none of these attributes? Why is it that for most of us, work is monotonous, meaningless, and soul deadening? Why is it that as capitalism developed, it created a model for work in which opportunities for the nonmaterial satisfactions that might come from it—and inspire better work—were reduced or eliminated? Workers who do this kind of work—whether in factories, fast-food restaurants, order-fulfillment warehouses, or indeed, in law firms, classrooms, clinics, and offices—do it for pay. Try as they might to find meaning, challenge, and room for autonomy, their work situation defeats them. The way their work is structured means that there really is little reason to do these jobs except for pay. According to a massive report published in 2013 by Gallup, the Washington, D.C.-based polling organization, there are twice as many “actively disengaged” workers in the world as there are “engaged” workers who like their jobs. Gallup has been measuring international employee satisfaction for almost two decades. In total it has polled 25 million employees in 189 different countries. The latest version gathered information from 230,000 full-time and part-time workers in 142 countries. Overall, Gallup found that only 13 percent of workers feel engaged by their jobs. These people feel a sense of passion for their work and they spend their days helping to move their organizations forward. The vast majority of us, some 63 percent, are not engaged. We are checked out, sleepwalking through our days, putting little energy into our work. And the rest of us are actively disengaged, actually hating our jobs. In other words, work is more often a source of frustration than one of fulfillment for nearly 90 percent of the world’s workers. Think of the social, emotional, and perhaps even economic waste that this statistic represents. Ninety percent of adults spend half their waking lives doing things they would rather not be doing at places they would rather not be. The questions Gallup asks capture many of the reasons for work I just listed. The opportunity to do our work “right,” to do our best, to be encouraged to develop and learn, to feel appreciated by coworkers and supervisors, to feel that our opinions count, to feel that what we do is important, and to have good friends at work are all aspects of work that the survey taps. And for the overwhelming majority of people, work falls short—very short. The question is why? This book will offer an answer. – Laszlo Bock, Senior Vice President of People Operations at Google and author of Work Rules!